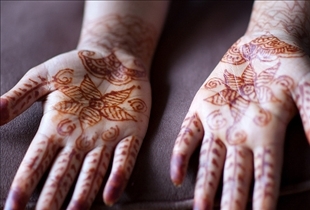 India is the land of various traditions and religious beliefs. Marriages in India are commonly arranged and the pairing is generally done on the basis of some important factors according to Indian families such as religion, class, social status, caste, astrology and so on. Love marriages are not as common although in the past few years we have witnessed a change in Indian culture. In older times, there were volunteers (marriage brokers) who were involved in the matchmaking process. As the Internet gained popularity in India a number of matrimonial websites emerged. Matrimonial service providers filter preferences for different users on the basis of above mentioned characteristics and more. 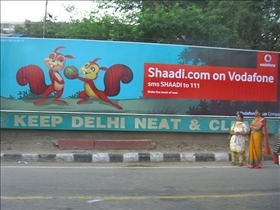 Shaadi.com and BharatMatrimony.com are two major matrimonial specialty websites in India today. Some benefits for subscribing to premium memberships on Shaadi.com include writing personal messages to the members, viewing verified contacts of the members, initiating chats and writing emails. Members are also provided with services of personal profile matcher. On the other hand, the services provided by BharatMatrimony.com include assistance in short-listing profiles, personalised horoscope matching, access to contacts (verified), personalised e-mails, chats and contact filters. Shaadi.com has taken some serious steps in the field of security and has received a number of certifications which include TRUSTe certification, VeriSign certification (safety for online payments), ISO9001:2000 certification, Shaadi SEAL (profile attestation), and Secure Talk (conversation without revealing phone numbers). If you are using BharatMatrimony.com you can choose to know who views your profile, your profile will be verified by VeriProfile and matrimony stamp. It is also a VeriSign secured website. Shaadi.com was the winner of best website in matrimony category of PC World web awards 2008. It won ‘Franchisor of the Year Award’ three consecutive times. It received ‘Web 18 Genius of the Web Award’ for best e-commerce site in matrimony category. Business-Today ranked it in the category of top ten marketers. It was acknowledged by IT People awards for excellence in Information Technology. JuxtConsult ranked it the most user-friendly website from India. BahratMatrimony.com, on the other hand, bagged Red Herring 100 Global Award, Limca Book of Records, and ‘Most Popular Matrimony Website Award’ in 2010 by JuxtConsult. It was ranked among top 50 IT innovators by NASSCOM. Personal messages to the members, viewing verified contacts of the members, initiating chats, and writing emails. TRUSTe certification, VeriSign certification (safety for online payments), ISO9001:2000 certification, Shaadi SEAL (profile attestation), and Secure Talk. Best website in matrimony category of PC World web awards 2008. Won ‘Franchisor of the year award’ three consecutive times. ‘Web 18 genius of the web award’ for best e-commerce site. IT people awards for excellence in Information technology. Assistance in short-listing profiles, personalised horoscope matching, access to contacts (verified), personalised e-mails, chats and contact filters. Red Herring 100 Global Award. ‘Most popular matrimony website award’ in 2010 by JuxtConsult. Was ranked among top 50 IT innovators by NASSCOM. Which Indian matrimonial website is better? I agree that Love marriages are not as common although in the past few years we have witnessed a change in Indian culture.